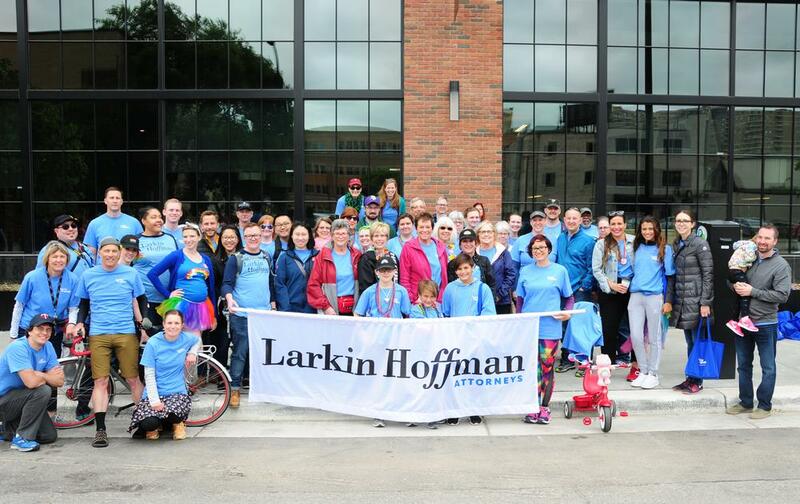 On June 25, 2017, more than 50 Larkin Hoffman employees and their family members participated in the 2017 Ashley Rukes GLBT Pride Parade in Minneapolis. Participants walked the parade route in support of Twin Cities Pride, the group’s mission and members of the Twin Cities’ GLBT community. “Larkin Hoffman has made a strong commitment to diversity and has a long history of supporting community organizations,” Bill Griffith, president of Larkin Hoffman, said. Twin Cities Pride is a Minneapolis-based nonprofit serving the region’s GLBT community. The organization’s mission is to commemorate our diverse heritage, foster inclusion, educate and create awareness of issues and celebrate achievements in equality. 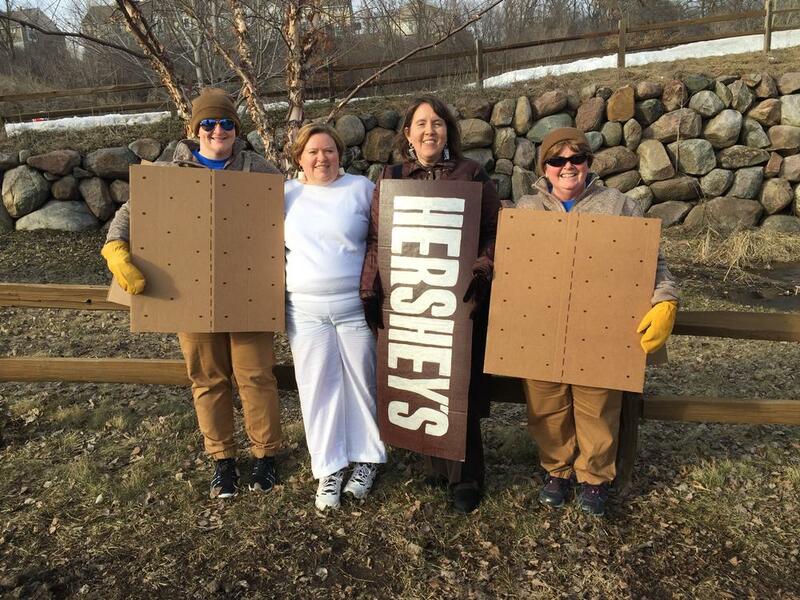 Larkin Hoffman employees and their family members participated in Bridging Inc.’s 19th Annual Subway® Bedrace for Bridging event held Saturday, March 4 at Buck Hill in Burnsville, Minn. Members of the firm’s team raised $500 for the organization. Hundreds individuals and 110 teams participated in this year’s event, which raised more than $80,000. The proceeds benefited Bridging Inc., a nonprofit organization located in Bloomington, Minn. that donates furniture and household items to needy families. Bridging is the largest furniture bank in North America. During the afternoon, 25 volunteers from the firm packed 3,840 pounds of food. The food was then distributed to stock local food shelves that feed children, working adults and seniors who don’t have enough to eat. In addition, several of the firm’s employees made financial donations to Second Harvest Heartland. Victoria Dutcher, a student at the Mitchell Hamline School of Law, was awarded a Benjamin B. Ferencz Fellowship in Human Rights and Law by the human rights organization, World Without Genocide. Victoria’s work focuses on monitoring persecuted religious groups in Burma and developing outreach to human rights groups operating in that country. This is the second year Victoria has been honored with the fellowship. Muna Omar, a student at the University of St. Thomas School of Law, was awarded the Judge Michael Davis Scholarship by the Minnesota Association of Black Lawyers, a bar association for minority attorneys in Minnesota. Muna was awarded the scholarship for her work in the community and academic achievement, as well as for demonstrating how her work advances the mission of the Minnesota Association of Black Lawyers. “We are proud of the achievements and recognition of both award recipients and delighted to be associated with these remarkable law students,” Bill Griffith, president of Larkin Hoffman said. 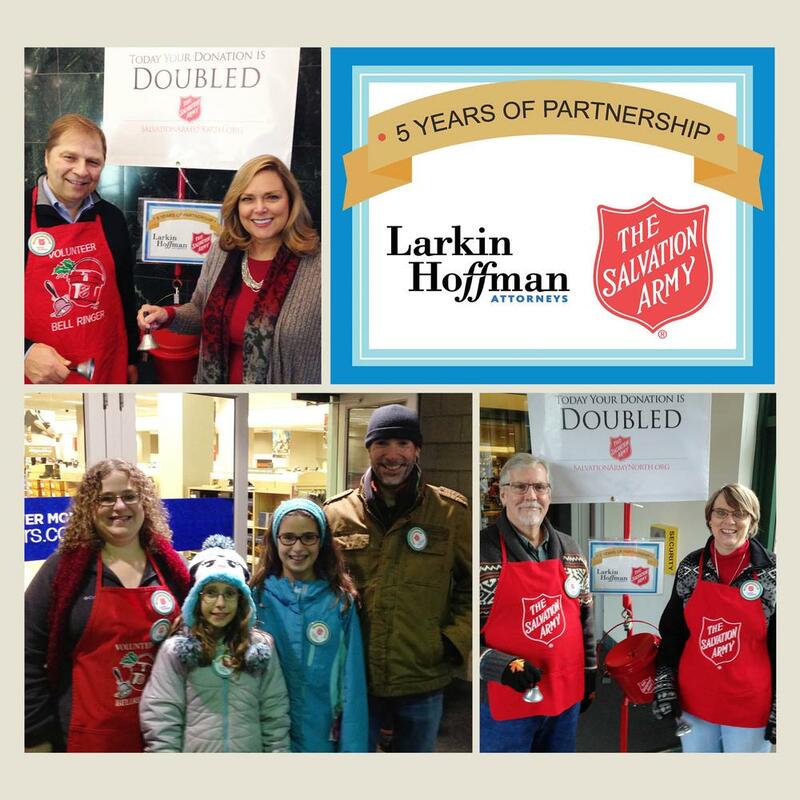 In five years of fundraising, Larkin Hoffman volunteers have brought in more than $25,000 during the Salvation Army’s red kettle kickoff day. The firm has also provided direct financial support to The Salvation Army over the course of the partnership. The Salvation Army’s bell-ringing season will run through the evening of December 24, 2016. One two-hour shift at a red kettle can raise enough money to provide a week’s worth of groceries for a family of four. To learn more information about The Salvation Army and the organization’s efforts, click here. On January 18, 2016, Larkin Hoffman honored the life and legacy of Martin Luther King, Jr. ‎by partnering with Second Harvest Heartland in the fight to end hunger. Employees of the firm and ‎their families sorted and packed food at Second Harvest Heartland’s warehouse in Golden Valley, ‎Minnesota. Larkin Hoffman’s 32 volunteers helped pack 4,382 pounds of food. Their efforts helped to stock local food shelves that feed children, working adults and seniors who don’t have enough to eat. In addition, several of the firm’s employees made financial donations to Second Harvest Heartland. Second Harvest Heartland is one of the nation’s largest food banks delivering more than 74 million meals a year to nearly 1,000 food shelves, pantries and other programs in Minnesota and western Wisconsin. The organization helps relieve hunger not only by sourcing, warehousing and distributing food, but through data-driven thought leadership and community partnerships that help improve the region’s larger hunger relief system. Larkin Hoffman is truly proud to partner with them for our Martin Luther King Jr. Day of Service.